Hiplife artiste Michael Kwabena Okyere Darko, popularly known as Obrafour says only death can bring a stop to his music career. He disclosed in a recent interview that there is no retirement in the music career. “Once you are blessed with that talent, it is for life. I’m not sure there is pension in music, when God gives you music talent you can do it till death. All you need is strength,” he said. He further stated that even though one cannot rule forever, new artistes emerging with time do not have to automatically retire old musicians. “In this world, you can’t rule forever because everything has an end. I wouldn’t agree if someone says new crop of artistes are emerging so the old ones should retire,” the 'Ako' hitmaker said. 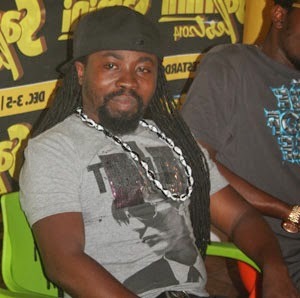 Hammer helped Obrafour secure a deal with Abraham Ohene Djan (OM Studios) and in late 1990s. He has released hit after hit since then. Some of his hit songs include, ‘Kwame Nkrumah’, ‘Aden’, ‘Pae Mu Ka’, Yaanom’, ‘Konkonsa’ and many others.